SQL Server 2016 Hosting - HostForLIFE.eu :: How to Export to Excel in c# from list and using Linq filter? Today, let me explain you about Export to Excel in c# from list and using Linq filter. You will find lot export to excel coding in other website. I'm not going to give any new in this. I am also giving here with simple List collection with basic LINQ filter and export to excel sheet. 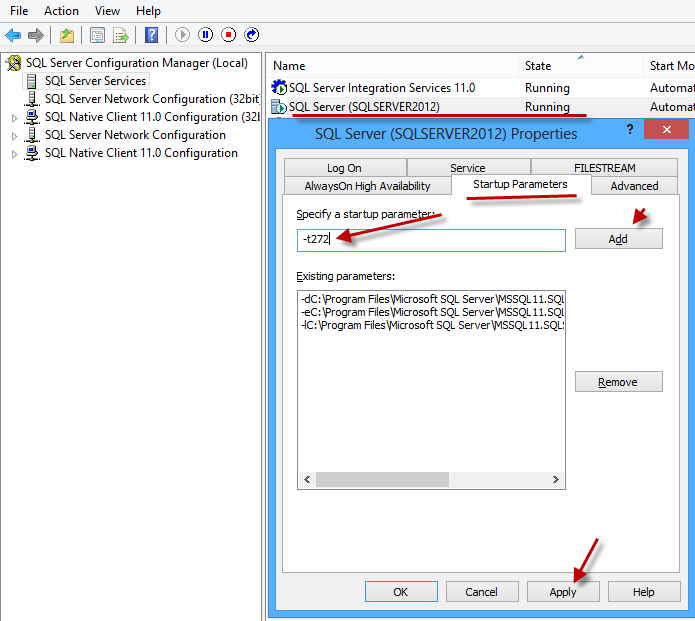 SQL Server 2016 Hosting - HostForLIFE.eu :: How to Remove DataBase In Sql Server Without Using Wizard? 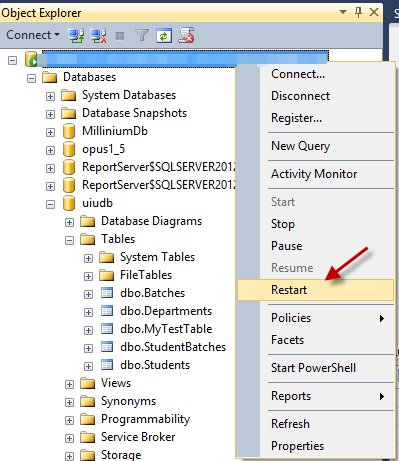 Today, I will explain you about how to Remove DataBase In Sql Server Without Using Wizard. This system stored procedure will helps you. -- You must be SA to execute this sproc. -- Make sure not trying to remove within a transaction. -- Check to see if database exists. -- Make sure no one is in the db. -- If invoke gets error, exception will abort this proc. 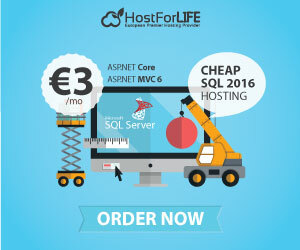 SQL Server 2016 Hosting - HostForLIFE.eu :: How to Calculate or Find median in SQL Server? Today, with this post we explain that how to calculate median in SQL Server or function to find median in SQL Server. Before we calculate/find median in sql server first we understand the what is the median and formula to calculate the median in sql server. Data files or log files are corrupt. Change the status of your database. Suppose database name is “BluechipDB”? If you get any error after executing DBCC CHECKDB then immediately bring the database in SINGLE USER MODE by running following query. If no error found then you need not execute the following query. For safety, take the backup of the database. Run the following query as next step.Remember while using the below query, that uses REPAIR_ALLOW_DATA_LOSS, is a one way operation that is once the database is repaired all the actions performed by these queries can’t be undone. There is no way to go back to the previous state of the database. So as a precautionary step you should take backup of your database in step 5 mentioned above. Refresh your database server and verify the connectivity of your database. Now users should be able to connect to the database properly. If any data loss, you can restore database – backup taken in step 5.